Ma Rainey wasn't the first blues singer to make records, but by all rights she probably should have been. 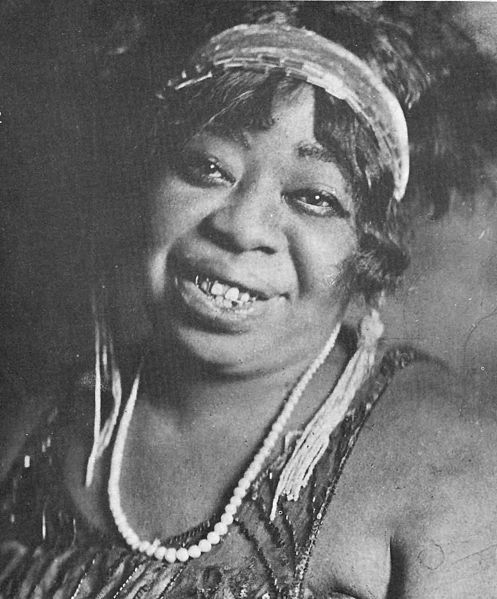 In an era when women were the marquee names in blues, Ma Rainey was once the most celebrated of all — the "Mother of the Blues" had been singing the music for more than 20 years before she made her recording debut (Paramount, 1923). With the advent of blues records, she became even more influential, immortalizing such songs as "See See Rider," "Bo-Weavil Blues," and "Ma Rainey's Black Bottom." Like the other classic blues divas, she had a repertoire of pop and minstrel songs as well as blues, but she maintained a heavier, tougher vocal delivery than the cabaret blues singers who followed. Ma Rainey's records featured her with jug bands, guitar duos, and bluesmen such as Tampa Red and Blind Blake, in addition to the more customary horns-and-piano jazz-band accompaniment (occasionally including such luminaries as Louis Armstrong, Kid Ory, and Fletcher Henderson). In 1923, Ma Rainey signed a contract with Paramount Records. Although her recording career lasted only a mere six years — her final sessions were in 1928 — she recorded over one hundred songs and many of them, including "C.C. Rider" and "Bo Weavil Blues," became genuine blues classics. During these sessions, she was supported by some of the most talented blues and jazz musicians of her era, including Louis Armstrong, Fletcher Henderson, Coleman Hawkins, Buster Bailey, and Lovie Austin. Rainey's recordings and performances were extremely popular among Black audiences, particularly in the south. After reaching the height of her popularity in the late '20s, Rainey's career faded away in the early '30s as female blues singing became less popular with the blues audience. She retired from performing in 1933, settling down in her hometown of Columbus. In 1939, Ma Rainey died of a heart attack. She left behind an immense recorded legacy, which continued to move and influence successive generations of blues, country, and rock & roll musicians. In 1983, Rainey was inducted into the Blues Foundation's Hall of Fame; seven years later, she was inducted to the Rock & Roll Hall of Fame.